At 11 am on the first Monday of the month (from April through October), the Town of Wake Forest joins with several local veterans' organizations to honor the sacrifices of deceased Wake Forest veterans and their families by hosting a Memorial Flag-Raising Ceremony in town hall's Centennial Plaza. 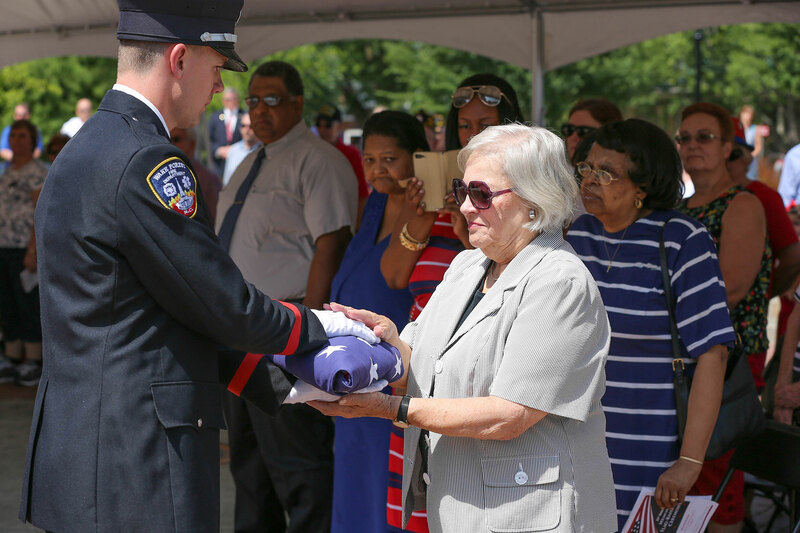 Participating veterans' organizations include American Legion Post 187, American Legion Auxiliary Unit 187, American Legion Riders, VFW Post 8466, the Wake Forest Purple Heart Foundation, and Marine Corps League Detachment 1257. For more information, visit wakeforestnc.gov and search “Flag Raising” or contact Pete Lambert at 919-529-3018 or bflambert@mindspring.com.